Located in beautiful lakeside downtown Kincardine, Gordon Pharmasave offers a full service pharmacy, complete with custom compounding! Ask for details. We also have a great selection of home decor and gift ideas. Including Melissa and Doug Toys, Lug Bags, Swan Creek Candles and MORE! Plus friendly, local customer service! Live well with Pharmasave! Rob Rogers graduated from the U of S with a Bachelor of Science in Pharmacy. He has been involved in managing and owning drug stores since 1996. 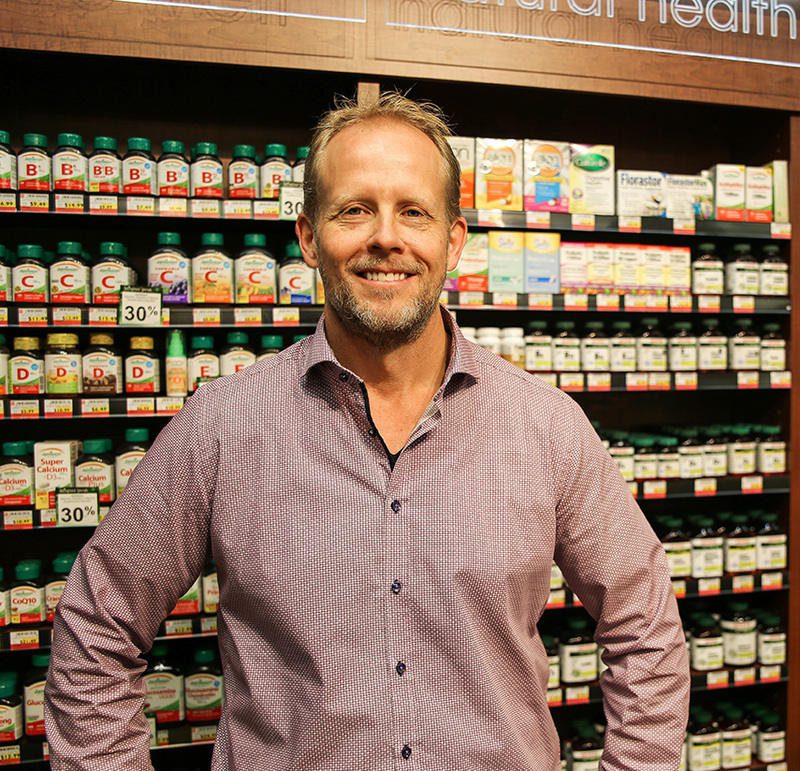 In April of 2009 Rob took over ownership of two drugstores, one in Port Elgin and another in Kincardine. Rob and his family moved from Estevan, Saskatchewan for the improved climate and small town community offered in Kincardine. Be sure to check out Ask the Pharmacist on our Facebook page for some great information!